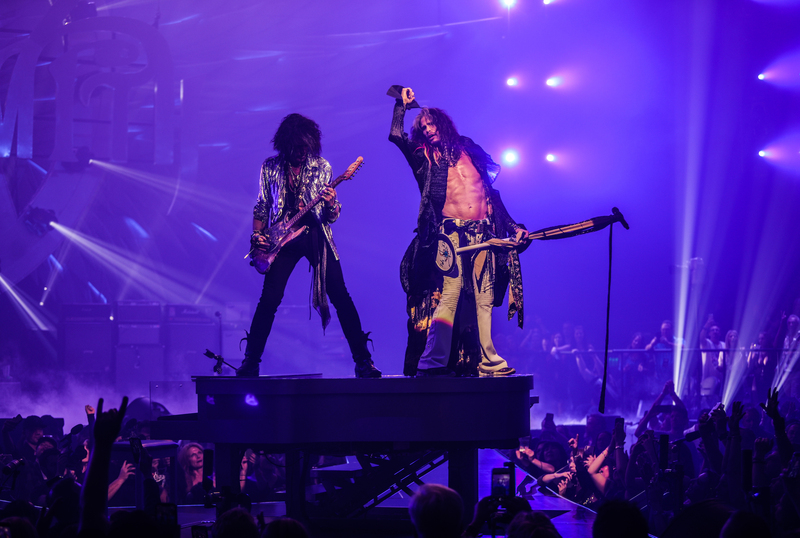 Aerosmith opened their 2019 Las Vegas residency on Saturday night (April 6) with a 16-song set that celebrated their rock and roll roots. 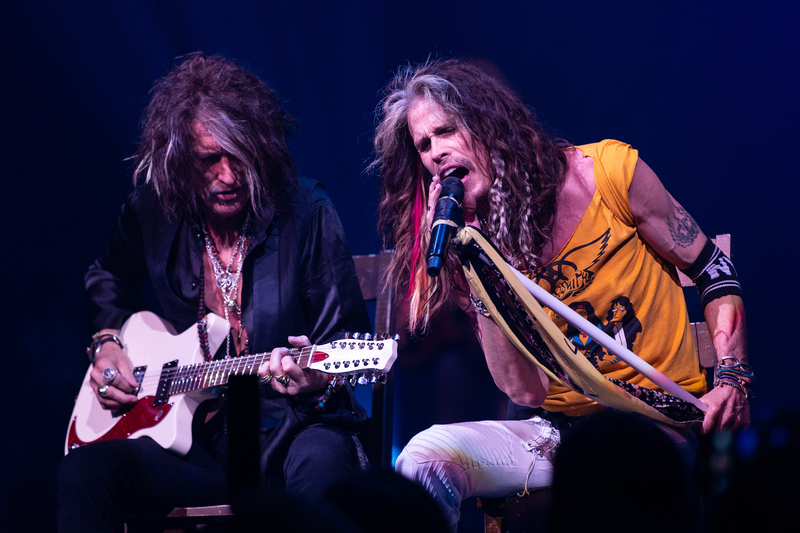 The band have not toured since 2017, with Steven Tyler and Joe Perry focusing on side projects and dealing with some recent, minor health issues. In August 2018, in a flashy, live appearance on The Today Show, Aerosmith announced their big plans for 2019 to celebrate their 50th anniversary. What initially was to be a 18-date residency at the Park Theater at the Park MGM, has turned into 35 dates, covering April, and June-July, with a return in the fall. In February, the group revealed several brief east coast residencies. A couple of festival appearances have also cropped onto the schedule. At their opening night performance at the intimate Park Theater, the audience was first shown an extensive filmed presentation about the band’s 50-year history. The Vegas crowd first got the band’s 1974 cover of “Train Kept A-Rollin'” and “Mama Kin” from their 1973 debut. For the first of two encores, a shirtless Tyler got behind the piano before playing the familiar chords to their 1975 breakthrough. At one point, Perry climbed up on the piano for a solo. Tyler grabbed his mic and joined him for the song’s inspirational wind-up. The final song was 1975’s “Walk This Way” and the band introductions.